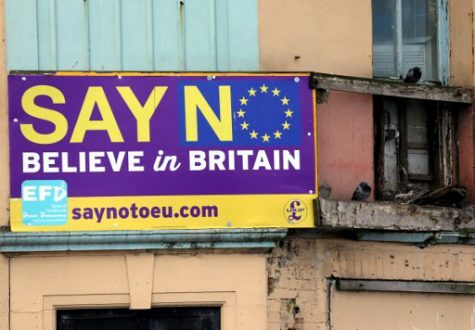 As Britain votes to leave the EU, Polish immigrants have come under fire with xenophobic and racist attacks in the bastion of parliamentary democracy. This is no coincidence, as millions of migrants from north Africa, eastern Europe and the Middle East pressurises the once hospitable European community on issues of immigration and race relations, there are bound to be flare-ups. But why is this nationalistic race-based virus rearing its head now? Aren’t European nations beyond brutish behaviour such as racism? At the turn of the century we passed the 60-year anniversary of the Second World War. At this momentous point we entered an age beyond “living memory” of the Holocaust and the atrocities committed by “civilised” Europeans against minorities living among them. The reasons for WWII were numerous, including economic hardships in the wake of the Great Depression, rising tensions between nation-states and the weaknesses of international organisations, the architecture through which global stability was supposed to be guaranteed and war to be averted. The League of Nations was institutionally hollow, the global economy was depressed and rising protectionism fed narrow nationalisms on the basis of racial romanticism. People were frustrated and wanted someone to blame. The Nazis dreamt of a “pure” society as their demon of hatred supped on the otherness of the Jews. Fast forward a couple of generations and you are in the slow cooker for renewed globalised tensions. Global growth is all but gone thanks to the 2008 financial crisis, the UN, the World Bank and IMF have failed to shield us from both the financial crisis and the political fallout from the Arab tsunami. Just when the Europeans sighed, as their friends the Americans won the cold war and stamped their mark on global affairs as the sole superpower, dreaming of continent-wide markets driving prosperity and freedoms such as movement and trade, a handful of jihadists shot up a theatre in Paris – the tipping point to popularise hatred. People are again growing frustrated and scared and looking for someone to blame. The problem is that we have forgotten what it felt like to hear Hitler rage and what it must have been like in his camps. Our loss of historical perspective is derailing the EU project. Migrants from north Africa, eastern Europe and the Middle East are not exploitive rodents, they are desperate humans, seeking refuge from the consequences of the same ideology that caused Paris to bleed. Some are simply willing to work hard for a fair wage. So for some the world feels eerily similar to 1941. Populism. Nationalism. Racism. Writing from South Africa, a distant observer of this global wobble of intolerance, one might reflect on similar forces playing out domestically. The last time the world circled this mountain in the 1940s, the Afrikaner nationalists were firmly sided with the anti-communist camp. The apartheid architects believed wholeheartedly in a western democratic capitalist system, at least for themselves. It was obvious that fascism and its mindless slaughter of millions of Jews was incompatible with their tranquil vision of suburban South Africa at the time. It did not sufficiently occur to them that their own racial bias amounted to a racial fascism that would spawn poverty-stricken shanty towns of internal migrants and ultimately derail the entire system. This year, since the social media blow out about Penny Sparrow and the axing of Chris Hart at Standard Bank there has been a steady uptick in incidences of overt and grotesque racism in different parts of the country. Ranging from assaults on petrol attendants, exclusionary policies against blacks at B&Bs and even the apparent ostracising of a little black girl in a Pretoria crèche. There is, as there should be, outrage over these incidences. These are sad remnants of old racist traditions among South African whites. It’s these superiority complexes that increasingly turned the free world against the apartheid regime between 1960 and 1980. But there is another, seemingly pervasive yet more subtle parallel of rising racism between Germany of the 1940s and today in South Africa. Surprisingly, it is not the obvious stench of white bigots who spew predictable insults from their pockets of privilege. The more alarming phenomena is the strident racist remarks by Julius Malema and his red-clad wehrmacht. When you grow up white in South Africa you are privy to the blatant racism of white supremacy. A white Afrikaner knows how to classify an entire ethnic group on the basis of skin pigment and then describe them stereotypically with disdain. Whites know how to fear and loath entire groups of people on the basis of the actions of a tiny minority. We went to school in khaki uniforms and from time to time wore brown berets and got to shoot guns during school. Our institutionalised racism was militant. Today, a black man commits a robbery with his nyaope friends and a white suburb starts a hate/security group on Facebook. So when I call a black man a racist it is because I see the familiar traits of my own historic cultural genes. Julius, you sound like Eugene Terre’Blanche, who sounded a lot like Hitler. Racism, nationalism and protectionism is not the path to sustained freedom and prosperity. We cannot overcome bigotry with bigotry, or injustice with injustice, or exploitation with demonization. Freedom for me must mean freedom for others. Prosperity for me must mean prosperity for others. In saying that I do not imply that there are no merits to historic grievances about land ownership and that the national question is not one about social justice for the black majority. On the contrary that is precisely the elephant in the room that must be addressed for South Africa to be at peace. Nor am I saying that uncontrolled migration in Europe is a non-issue. Or that unfair competition in the job market of European countries and failed capitalist economic policies that spawn inequality and stagnation should remain intact. What I am saying is that freedom, respect for human rights and dignity, the rule of law and an inclusive approach to change is a better path. Actually, we’ve learnt this lesson before and momentarily shone as a lighthouse to the rest of the world, a beacon of transformational reconciliation. If land owners in South Africa have any practical wisdom and sense of history they will make every effort to gather their opponents and co-create a solution to the question of land redistribution. If Europeans raised their view beyond the global refugee crisis of 2016 to the way in which young Africans, eastern Europeans and Arabs will serve their economic and social well-being in a generation, they would see their crisis as a humanitarian one begging for social innovation and not social isolation. Racism is again an idea whose time has come, but we should be revolted by it and embrace the more difficult option of reconciliation and shared dignity. When white people are racist, other white people should speak out the same as we expect Muslims to criticise Islamic extremists in order to morally and ideological isolate them and point out their bigotry. I am surprised at how soon after democracy the time has come for black South Africans to point out the racism in their own ranks.